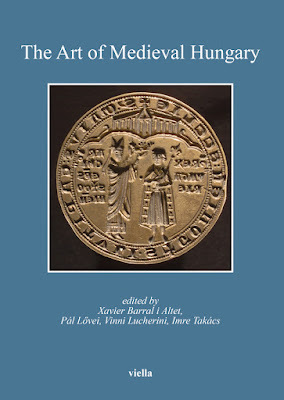 I haven't had time lately to post on the Medieval Hungary blog - but there are several interesting news which needs some coverage here. So, here is a quick update on the world of medieval art from late 2017 - early 2018. The statue on view at Matthias Church. 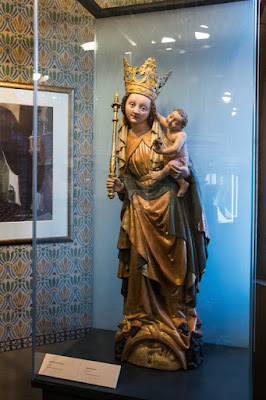 After a three-year restoration project, a late medieval statue of the Virgin and child was unveiled at Matthias church (Church of Our Lady) in Buda castle, Budapest in December 2017. The origins of the statue are unclear - it was transferred from another church in 1975. The current restoration, which was carried out by Éva Galambos, revealed much of the original polychromy of the statue. It was also revealed that the right hand of the Virgin is a replacement from the Baroque period, along with the left arm of the church. The statue dates from the early 15th century and was most likely carved in Southern Germany. Its restoration and display make the statue available for further art historical research. 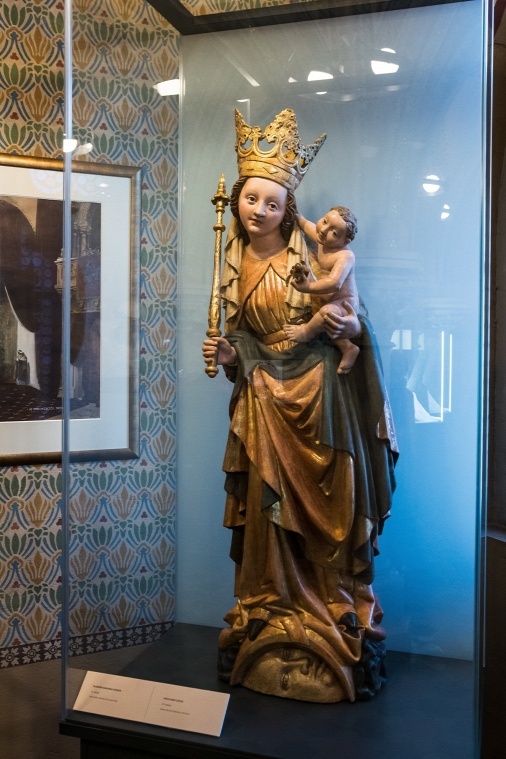 Since December 2017, the statue is on view in the permanent exhibition of ecclesiastical art set up inside Matthias Church. For more on the statue and its presentation, see this report in Magyar Kurír. The National Museum of History of Romania, under the aegis of the Ministry of Culture and National Identity, in partnership with the Roman Catholic Bishopric of Oradea, the Hungarian National Museum, Széchényi National Library, the National Archives of Hungary and the Museum of Oradea organized a large exhibition dedicated to the history and ecclesiastical art in the Roman Catholic Bishopric of Oradea (Nagyvárad). The exhibition was on view at the National Museum of History of Romania from December 14, 2017 until April 1, 2018. 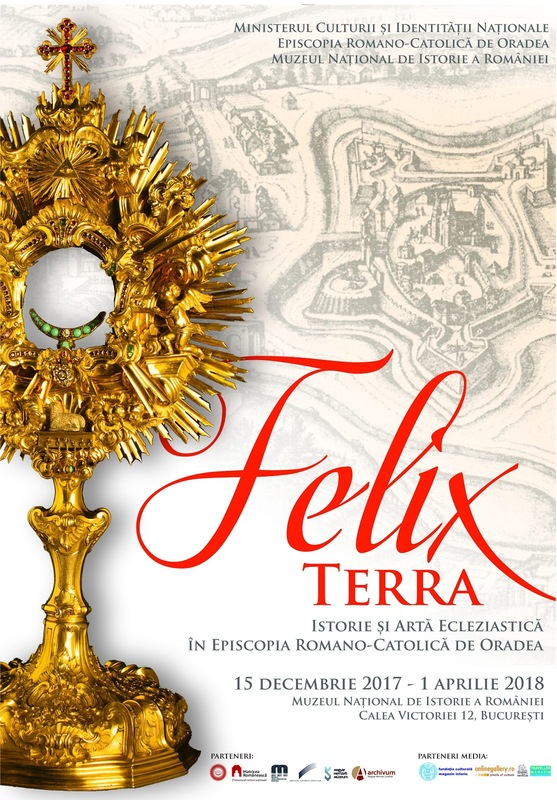 The exhibition is accompanied by a catalogue written in Romanian and Hungarian. The exhibition focuses on the history of the bishopric of Nagyvárad, especially on the lost medieval cathedral of Nagyvárad, the former resting place of King Saint Ladislas and of Emperor Sigismund. Works on view include fragments of the medieval cathedral building as well as finds recovered during various archaeological campaigns. 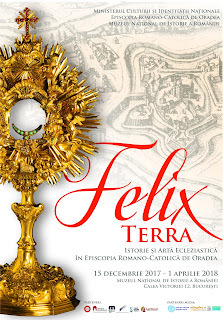 Another focus is the renewal of the bishopric in Baroque period: a series of liturgical works from the Treasury of the cathedral were on view. 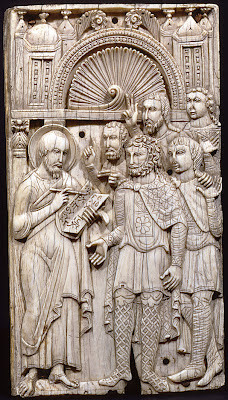 Along with architectural fragments and stone carving, preserved from the Middle Ages, rare medieval documents were also shown in the exhibition - such as the Dubnica Chronicle or the Zalka Antiphony. Even though New York obviously has no original medieval buildings (except for those built into The Cloisters), the City is home to wonderful collections of medieval art. The Metropolitan Museum houses the largest and best collection of medieval art in the US, much of it on display in the main building, while many more are on view at The Cloisters, the branch of the museum devoted to the European Middle Ages. The Morgan Library and the New York Public Library house hundreds of valuable medieval illuminated manuscripts. (To see how many objects from medieval Hungary these collections hold, have a look at my preliminary checklist). I had a chance to spend two days in New York this past week - instead of these permament collections, I seeked out some Medieval and Renaissance exhibitions, which I will briefly describe below. so-called Grado Chair, 7th-8th c.
First on my list was the Byzantium and Islam exhibition at The Metropolitan Museum, which actually closes today. This large exhibition is part of a series of shows curated by Helen C. Evans and dedicated to Byzantine Culture (a series which acutually started with Kurt Weitzmann's 1977 exhibition titled The Age of Spirituality). The two earlier exhibitions - “The Glory of Byzantium” in 1997 and “Byzantium: Faith and Power” in 2004 - focused on later periods of Byzantine art (the Middle Byzantine period and the last centuries of the Byzantine empire, respectively), while the current exhibition goes back to the early centuries of Byzantium, exploring the vast southern part of the Empire. The focus is on the diverse cultural traditions (Greek, Coptic, Syriac, Jewish, etc.) and on the emergence of a new force in the region: Islam. The exhibition is arranged thematically, surveying first religious art of the Byzantine empire, then focusing on themes of secular art (such as commerce or dress), finishing with Islamic religious art. The website of the museum gives a very good overview of the material on view, and more in-depth information is provided by tthe accompanying blog. 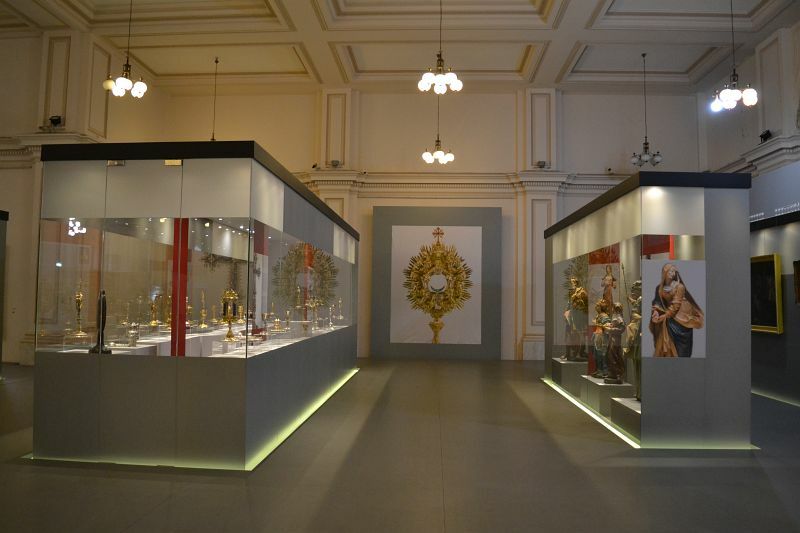 While the earlier exhibitions mainly focused on highlights of Byzantine art - icons, luxury manuscripts, goldsmith works - and on the connections of Byzantium with western Europe and Latin Christianity, this exhibition was quite different. The exhibition looked to the Eastern and Southern neighbours of Byzantium, and raised a number of very interesting and novel questions about cultural transfer and the co-existence of different traditions. 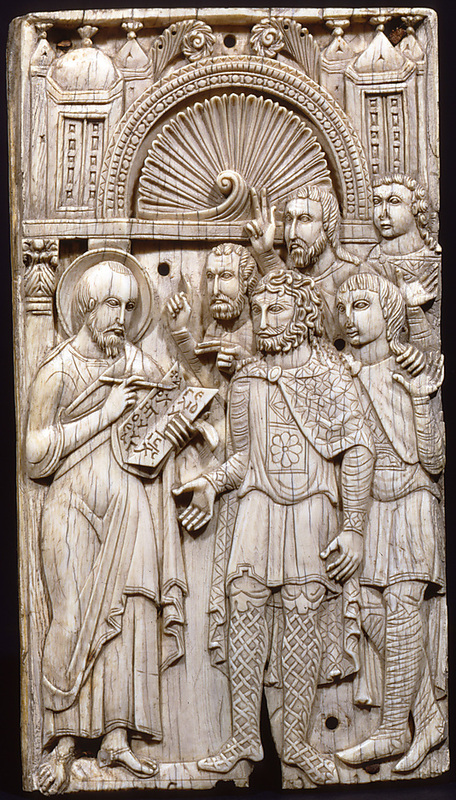 Naturally, the show also includes a number of truly spectacular items: such as the famous Rabbula Gospels from 586 or the wonderful ivories of the so-called Grado Chair. The narrative was clear, and the display - as always at the Met - was wonderfully arranged. Overall, however, I was not quite as impressed with this exhibition as with the 1997 "Glory of Byzantium" - the wonderful display of icons from the Monastery of St. Catherine at Mt. Sinai remains a vivid memory to this day from the earlier exhibition. Due to political circumstances, no loans arrived from Egypt this time. These objects, however, are included in the catalogue - their presence would have definitely made the whole exhibition different. 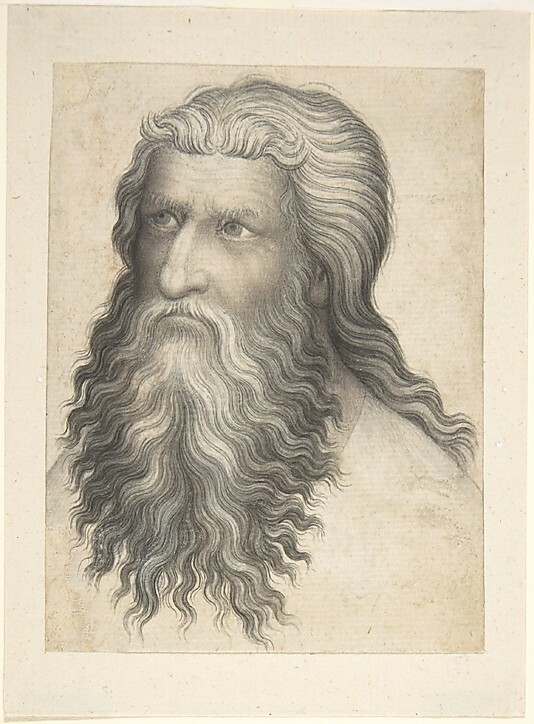 Currently, there is one more exhibition at the Metropolitan Museum focusing on Medieval and Renaissance art: titled Dürer and Beyond, it displays Central European Drawings, 1400–1700. It starts with a few beautiful Bohemian drawings, well-known from the Prague: The Crown of Bohemia exhibition (2005). In other parts of the museum, there are additional special displays, including the Rylands Haggadah (mid 14th c., Catalonia), Renaissance illuminations from the Robert Lehman Collection, and a handful of Northern Italian paintings from the Accademia Carrara at Bergamo.